Choosing Croce’s Transmission–the transmission service specialist–could be the smartest thing you do all year! If you’ve something great, like invented a phone app for diagnosing transmissions, then choosing us might be the second smartest thing. When you visit our facility for a top-of-the-line transmission repair service, our diagnostics will let you know exactly what’s wrong and how we can fix it. Let us find out if you actually need a transmission replacement first, before you spend time and money unnecessarily. The first step for any transmission replacement is an accurate diagnosis. Our experienced team never wants to perform a transmission replacement just because we can. All of our expert transmission services perform the best maintenance or repair service for your vehicle. Find the best transmission service and transmission replacement solutions at Croce’s Transmission. We stand behind all of our services with a competitive service guarantee. We Handle it All–From Flushes to Overhauls! Our experts use the latest tools, technologies and service techniques to make your transmission replacement service complete and effective. We stay abreast of all the industry’s advancements in transmission engineering and maintenance for all makes and models. When you come to Croce’s Transmission for a transmission replacement, you can be confident that you’re receiving the best service for your vehicle. We’re not happy performing an expensive repair that you don’t need. We’d much rather keep you on the road with seamless transitions and smooth gearshifts as a result of a transmission flush service. However, any transmission replacement needs are handled by our team of specialists who handle every service with the same commitment to excellence. It’s our pleasure to provide complicated transmission repair and maintenance services that you can trust. We go above and beyond to make sure your transmission is operating at its best at all times. Find out the truth about your transmission today! Your vehicle’s exceptional performance starts here at Croce’s Transmission. We’ll help you avoid costly repairs but normal road travel can lead to wear-and-tear that requires a transmission replacement. You can be as confident as we are in our skilled technicians. 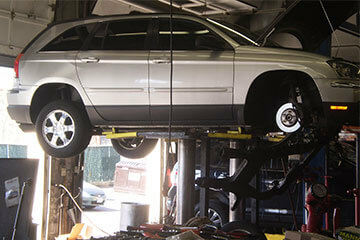 We’ve been here since 1999 providing the Norwalk area with top quality transmission repairs, replacements and rebuilds. Come to us for a second or third opinion about your transmission service. Our team is anxiously awaiting your phone call or visit to our state-of-the-art facility. Give us a call today at 203-845-8899 to schedule your transmission replacement. You can save time by using our convenient online scheduling system right now! Next time you’re in the area–301 Main Avenue–feel free to stop by. We gladly accept all of our walk-in customers!